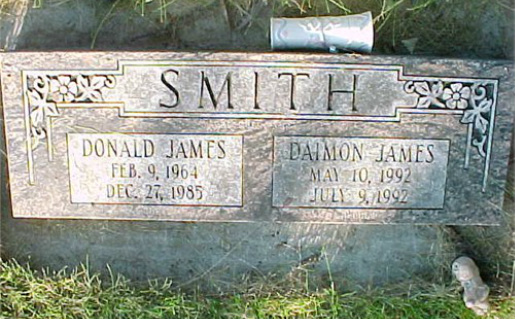 Daimon James Smith was born on May 10, 1992 in Prineville, Oregon to Gabrielle Anastasia Huff and her boyfriend Jason Gene Smith. He was given the middle name James in memory his father's brother Donald James. In the first week of July, his parents moved to La Grande, Oregon. 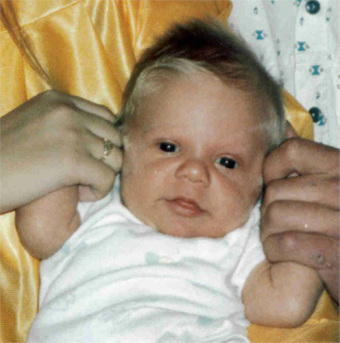 On the morning of July 9, 1992 Daimon died from Sudden Infant Death Syndrome. He was buried in Elgin, next to his uncle, Donald James Smith.